Needle Felted Essential Oil Diffuser Ornament | Happy Deal - Happy Day! 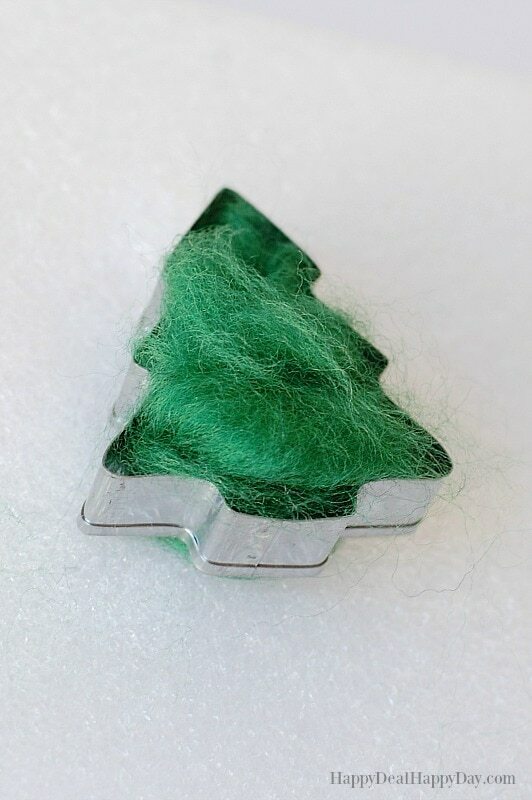 Here is a really easy and fun ornament you can make (even with some kid help) that is needle felted, and can be used as an essential oil diffuser ornament. If you’ve never worked with wool fiber before, you can do some pretty amazing things once you learn how to felt. I have felted some wool dryer balls in the past, but the technique I used today involves a needle and a cookie cutter, instead of soapy hot water and the dryer. I purchased the set of cookie cutters listed above that is all different Christmas themed shapes. Yes, you can use these for Christmas cut-out cookies, but you can also use these shapes to make ornaments! Then get out your styrofoam spongy base that comes in the needle felting kit and place your cookie cutter on top of that. 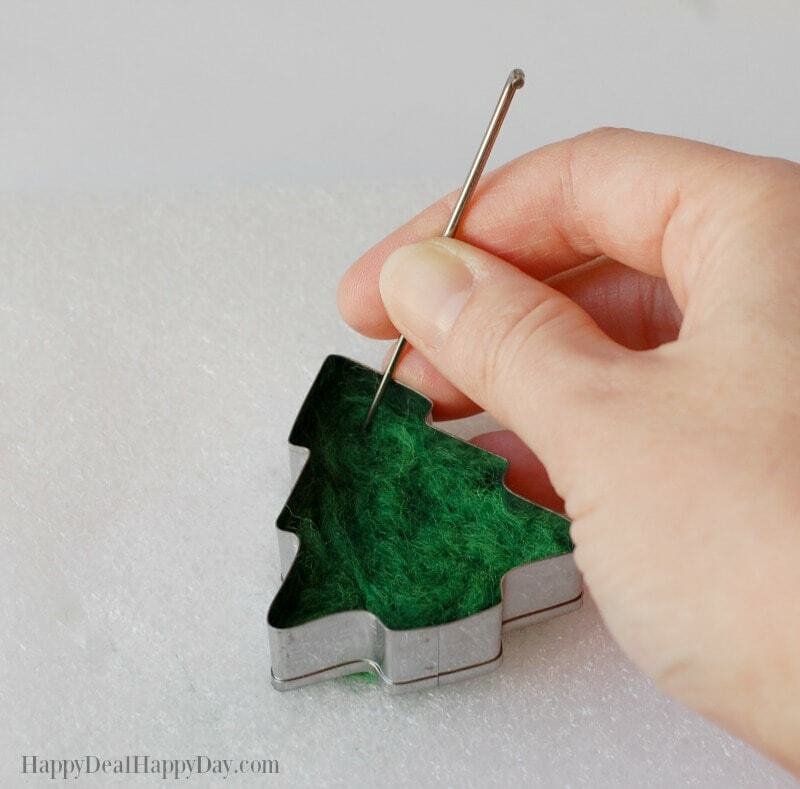 Fill the cookie cutter with green wool, and then you take one of the felting needles from your kit and just start poking the wool until it gets flat. You will poke it with a needle hundreds of times until you get a flat piece of wool. It takes about 10 minutes or so. 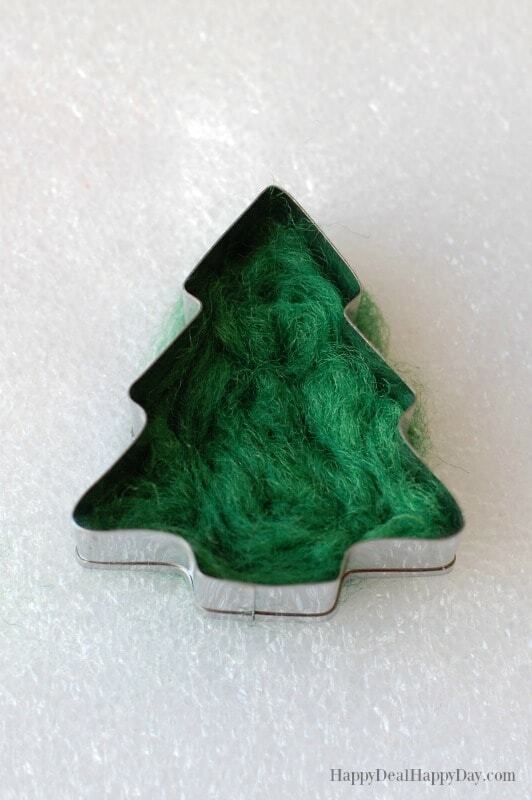 The fibers will be “felted” together from the needle work and then it will hold its new shape in the form of a Christmas tree! 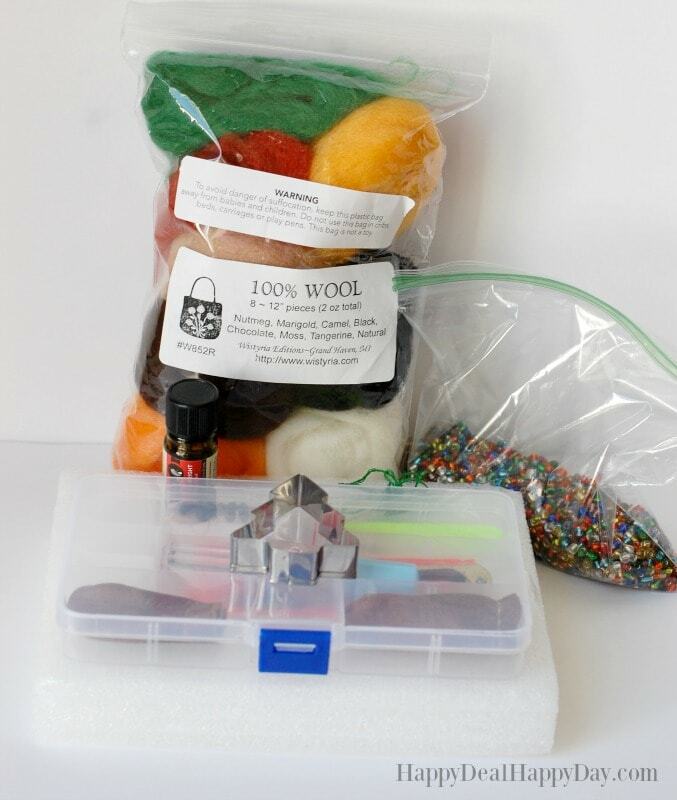 If you’ve never needle felted before, then check out this easy video on how to get started with needle felting. The kit also comes with some leather finger coveres. You can wear that if you want so that your finger doesn’t get irritated from pressing down the needle. I found I didn’t need that for this project because I wasn’t spending hours and hours doing this. But if I was to spend that amount of time, then yes, I’d want to wear the leather on my finger. I also mentioned above that this is a project your kids can help with! My 8 year old loves poking in the needle and she was working on an angel ornament the same time I was working on this tree. This project is for older kids though – I doubt I would have let my daughter work on this at a younger age. The needles are – well – needles! They are sharp! And if you or your child are not careful, they can certainly poke right into your skin. So use caution when showing this technique to your kids. Again, If you’ve never needle felted before, then check out this tutorial video I made on Facebook live on how to get started with needle felting. Its way easier than you might think! Once you have one side felted enough, then you need to peel it off of your styrofoam sponge board and felt the other side. The other side will be flat, but some fibers will be sticking out and you’ll just need to neaten it up a bit from being so fuzzy. Watch the video I linked above – and she shows what I mean about the back side. 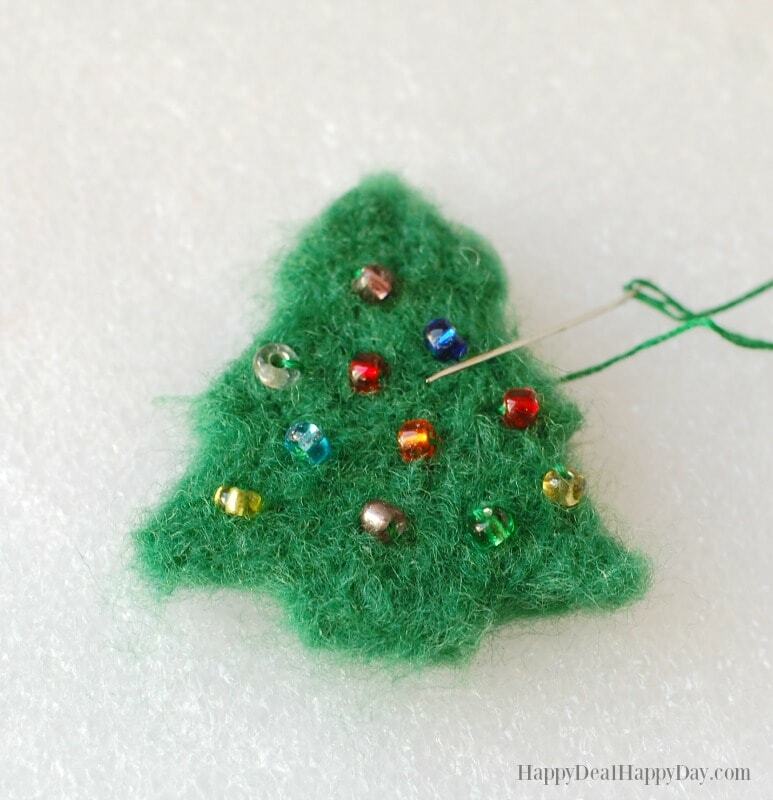 Once the tree is formed, you can now decorate it using seed beads, a needle and green thread! I ran out of green thread, so I actually used 3 strands of green embroidery floss that I had on hand. That works just as well! I topped the tree off with a star, and left enough embroidery floss at the top to be able to hang the ornament! 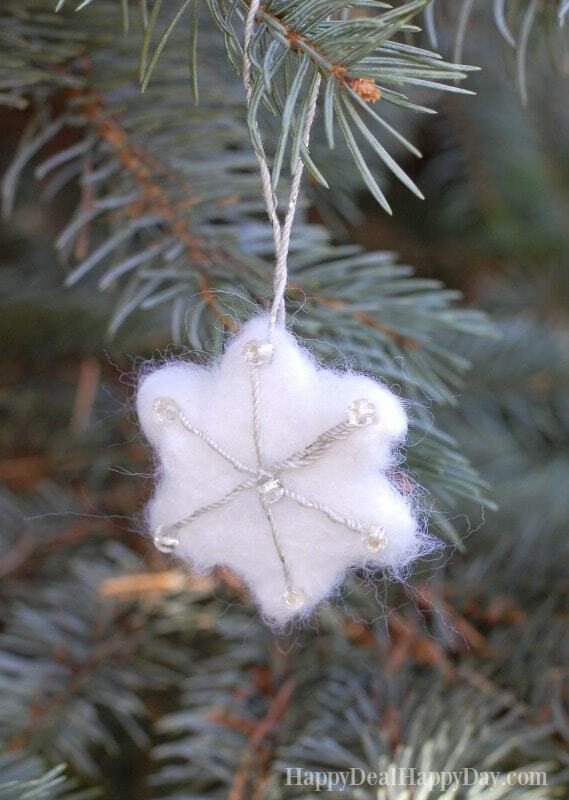 Here is another idea: take some white wool and the snowflake cookie cutter and needle felt a snowflake ornament! 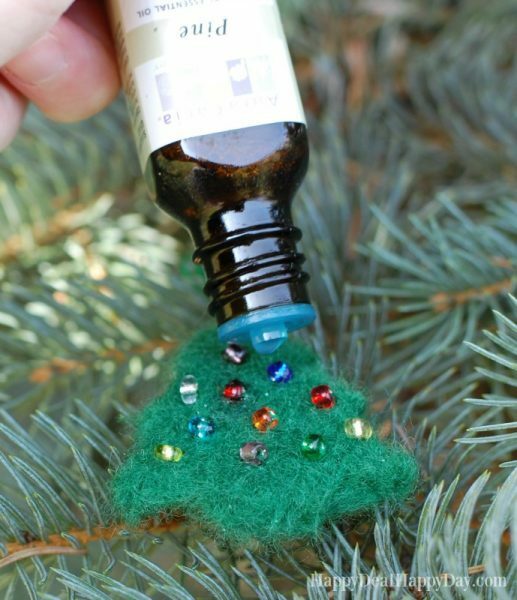 When you are ready to diffuse some essential oil, just add a few drops of your favorite evergreen tree or Christmas blend essential oil right onto the felt! 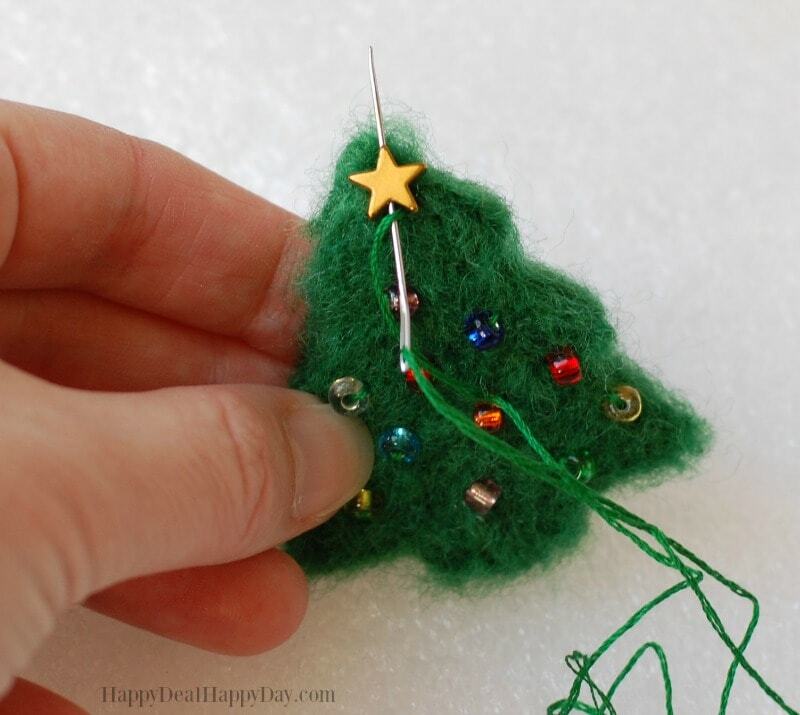 The more felted ornaments with a drop or two of oils, the stronger the scent. You probably need at least 3 ornaments placed around the tree to get a noticeable lingering authentic Christmas aroma. If you are looking for another style of essential oil diffuser ornament – check out this Essential Oil Diffuser Christmas Tree Ornament using beads and ribbon! ← Sears Cyber Monday Promo Code & $50 Gift Card Giveaway! #UnwrapSearsSavings. 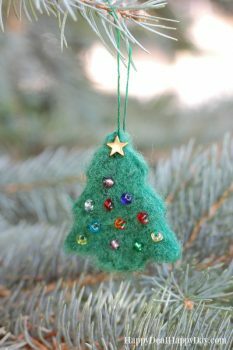 I use tiny seed beads to decorate my felted ornaments. Never thought of using oils for scent. Thank you. 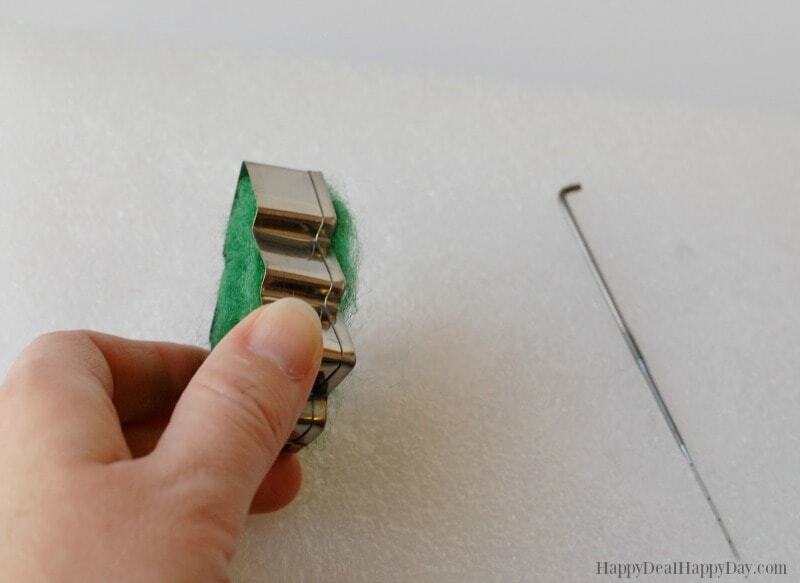 Yes – it’s an easy addition to ornaments you may already have! !